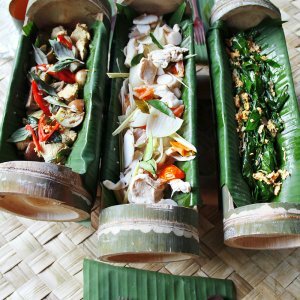 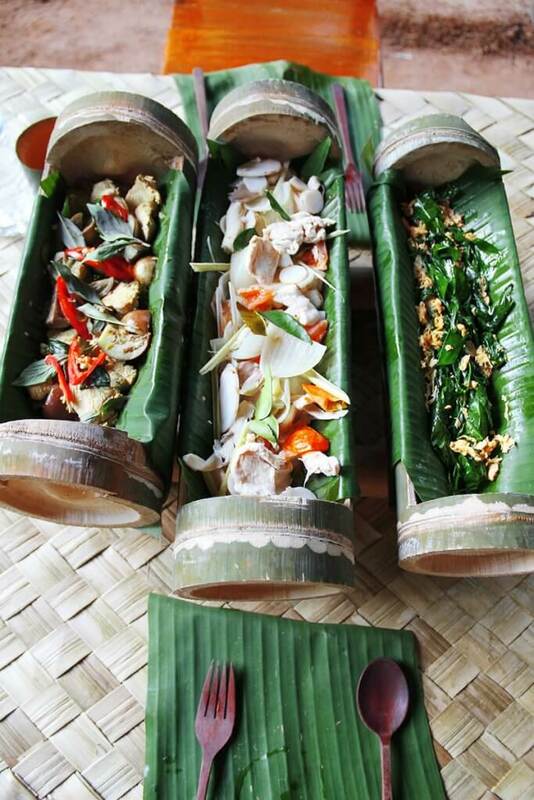 Thai cuisine has a long and wonderful history as one of the most exotic and exquisitely diverse foods in the world. 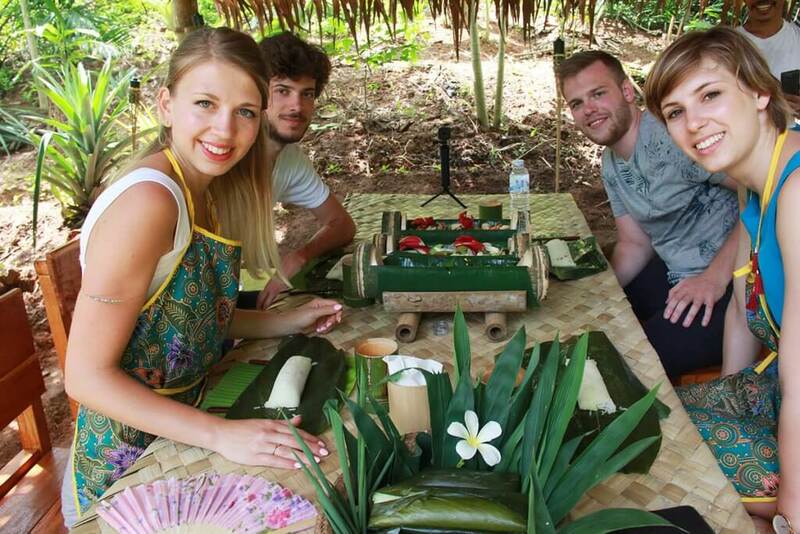 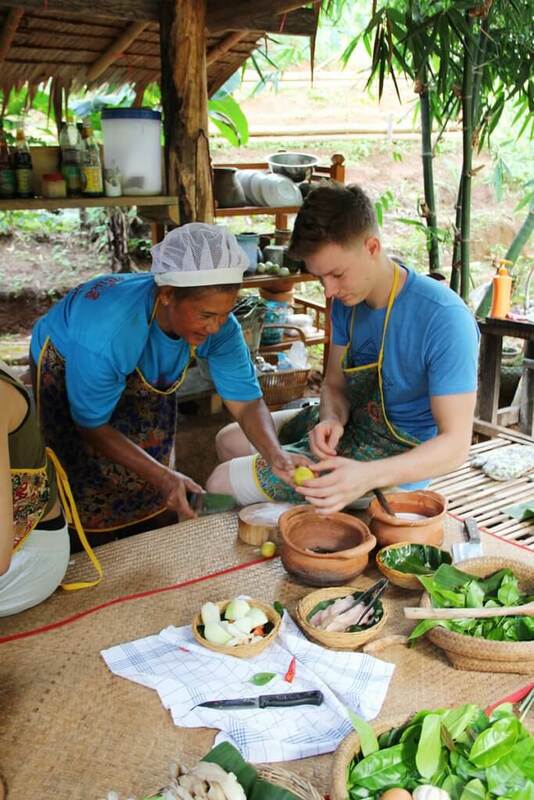 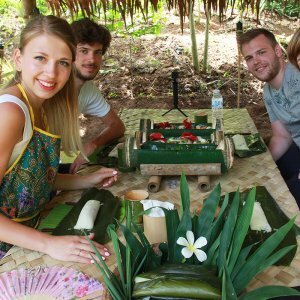 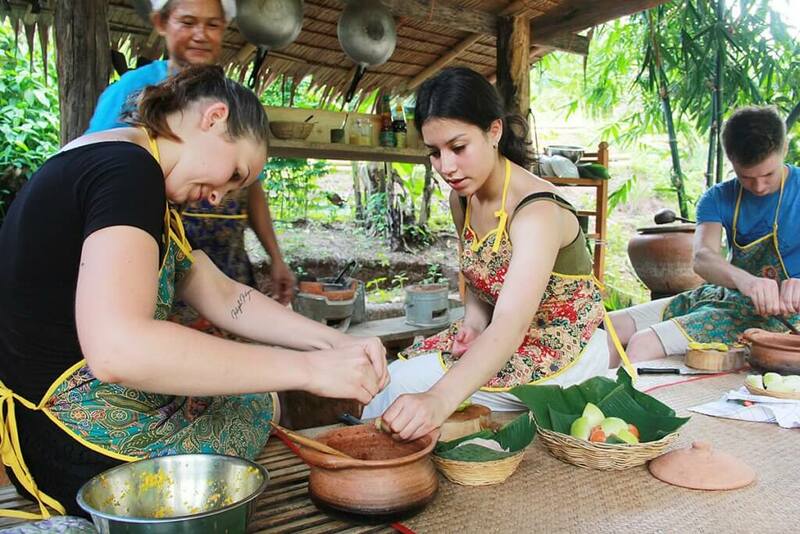 On our Organic Farm Cooking Experience, go back in time and discover how to select your own produce, before learning how to cook a selection of traditional Thai cuisine with organic seasonal ingredients at nearby Rungfah Organic Farm. 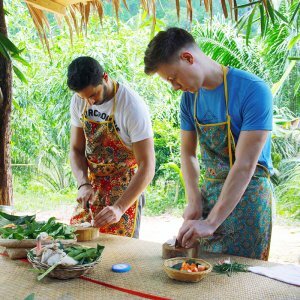 After mastering these dishes and other cooking techniques – including how to boil rice in bamboo – sit down in the picturesque surroundings of Khao Sok National Park to savor the fruits of your labor. 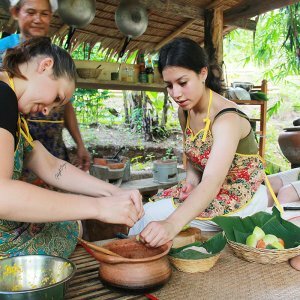 Important Notes: Please notify us about your dietary requirements and/or allergies when booking your Organic Farm Cooking Experience.